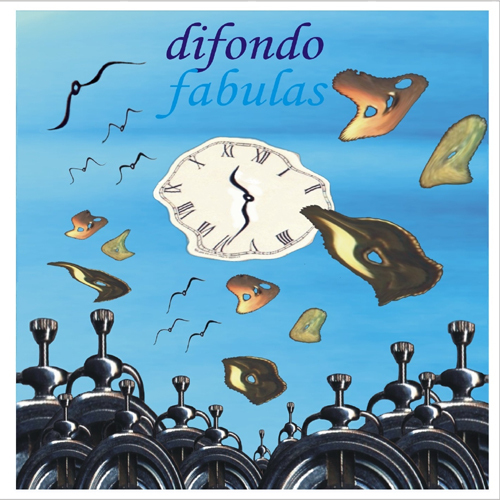 Fabulas compositions were requested by Radio Press in Cagliari, starting from August 2003 inside a project promoted by the Region Sardegna. This to evaluate the Sardinian language through the radio broadcasting of popular fairy tales entirely played in Sardinian by the actors Elio Arthemalle and Rita Atzeri. This project has been presented at the “Literature for Boys ” Bologna’s fair. At the beginning, the recordings with the texts acted have been divided into different sections as a way of marking the single scenes but also, as requested by the radio station, to broadcast the tale in different episodes. From a compositive point of view, the strategy used is similar to the one recognizable in other works such as: the opposition – to sweeten the sometimes dark and dramatic tones and atmospheres of the fairies – the onomatopoiea and the marking – assigning specific timbres to each character – to visualize the narrated event in a direct and effective way. Stefano Tedesco: vibraphone and marimba samples (1).